Laboratory Testing Now Available Without a Doctor Visit. Tests levels of 35 vitamins and minerals & Omega 3-6-9 fatty acids. Knowing your intracellular micronutrient levels are key to a thorough understanding of your nutritional requirements at a foundational level, which may contribute to your risk for disease, while simultaneously and positively impacting your overall health and well-being. 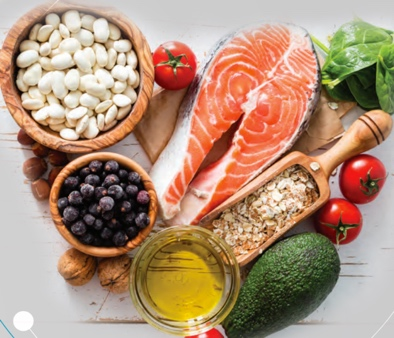 Panel includes 96 of the most common allergens that are consumed, including peanut, milk, egg, shellfish, tree nuts, fish, corn, soy, lectin, wheat, fruits, vegetables, grains, legumes, and nightshades, & others. Panel includes 46 of the most common allergens, including different types of mites, molds, animal dander, weeds, grasses, insects, trees, and shrubs. The full diurnal cortisol profile at four time points during the day. Consider for Stress, immune dysfunction, chronic fatigue, and / or multiple symptoms of adrenal imbalance. DNA-based weight management program that identifies your unique genetic makeup, then provides a nutrition plan, macronutrient proportions, and a personalized exercise plan tailored to your genetic profile. Toxic metals may normally be present in the body in very low levels, but acute or continuous exposure, as well as metabolic abnormalities can cause accumulation of heavy metals in body tissues, and subsequently, in the brain. Test 40 toxic metals and elements including Mercury, Aluminum, Lead, Zinc, Magnesium, Copper, Cobalt. Convenience at it’s best! Chicagoland area residents can have blood drawn within the comfort of home or workplace with our mobile phlebotomist (additional draw fee). Outside of the Chicago area? Not sure if there’s blood draw lab near you? CLICK HERE to contact us.